This summer I spent ten weeks as a NCPE (National Council for Preservation Education) Intern in Washington, D.C. working for the National Park Service headquarters for the National Capital Region. The National Capital Region (NCR) manages historic sites and structures, parks, natural areas, and Civil War battlefields throughout Washington D.C., Maryland, Virginia, and West Virginia. During my internship I assisted the Region’s architectural conservator and historic architect in numerous projects throughout the area. Most of my time was spent out in the field making site visits, inspecting park service structures and monuments and performing conservation work and maintenance on monuments. I was also given many behind the scenes looks and tours of some of the most distinguished historic sites in the country. There was never a dull day working with NPS. I learned a great deal about how the National Park Service operates and manages their extensive collection of historic structures and monuments within the parks. In addition, I learned a lot about essential treatments for the preservation of monuments, the history of the nation’s capital, the history of the National Park Service, as well as more than I ever expected to learn about the Civil War. Antietam National Battlefield – Antietam National Battlefield in northwestern Maryland commemorates the bloodiest single-day battle of the Civil War that occurred on September 17, 1862. The park covers over 3,000 acres and includes more than 16 historic farmsteads and structures, 96 monuments and the Antietam National Cemetery. 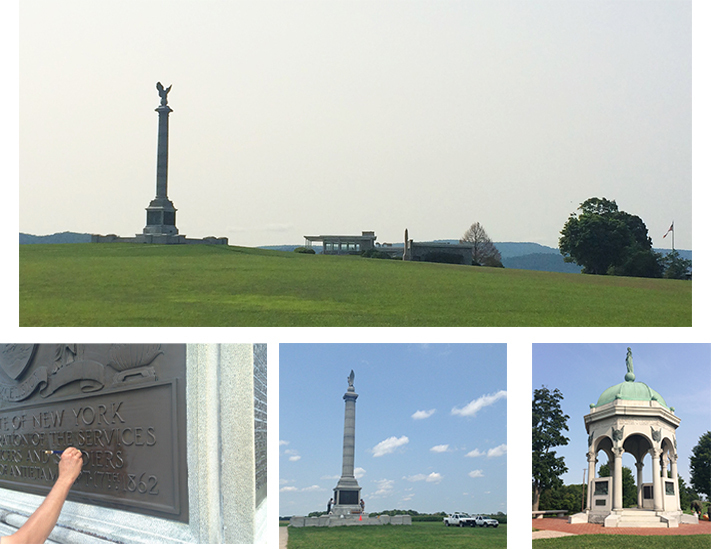 While at Antietam we performed work on the Maryland State monument, New York State Monument, and New York 4th Infantry monument. Catoctin Mountain Park– Catoctin Mountain Park is located in Maryland on the eastern ridge of the Appalachian Mountains. 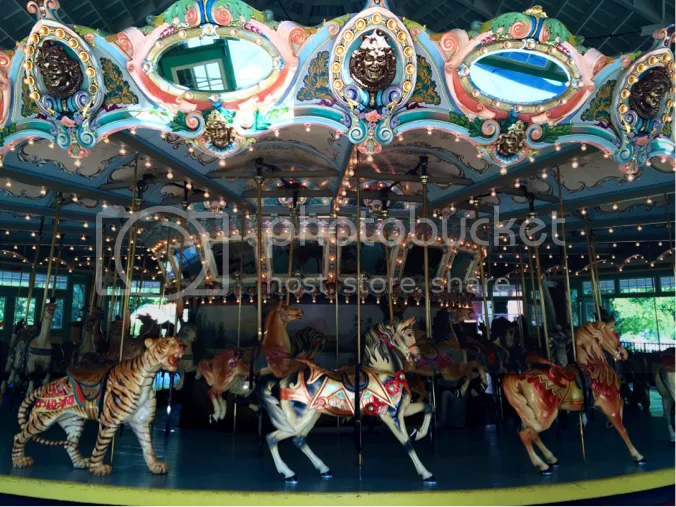 The land was purchased in the 1930s to be transformed into a recreation area and was developed during the Great Depression to help put people back to work. 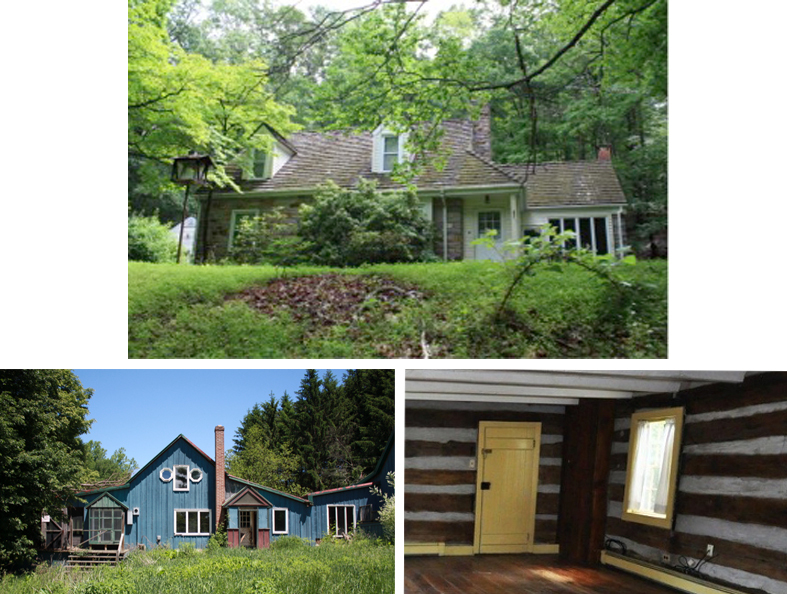 The park originally contained four cabin camps constructed by the Works Progress Administration and the Civilian Conservation Corps, one of which is now the site of presidential retreat Camp David. While at Catoctin, I assisted the historic architect for the region assess issues at a staff quarters building for an upcoming project to thwart further water infiltration and inspected a newly acquired house on the outskirts of the park which contains an 18th century log house, common in the area, within its extensively altered exterior. The house is to be “mothballed,” a common practice for NPS which includes closing up the building temporarily to protect it from weather and vandalism when the funds are not available or a productive use has not been identified to put a deteriorating structure into useable condition. Battleground National Cemetery – This cemetery, located in D.C. was established shortly after the Battle of Fort Stevens in July of 1864, the only battle that occurred within the national c apital. The small cemetery was dedicated by President Lincoln himself and includes forty burial sites from the battle. 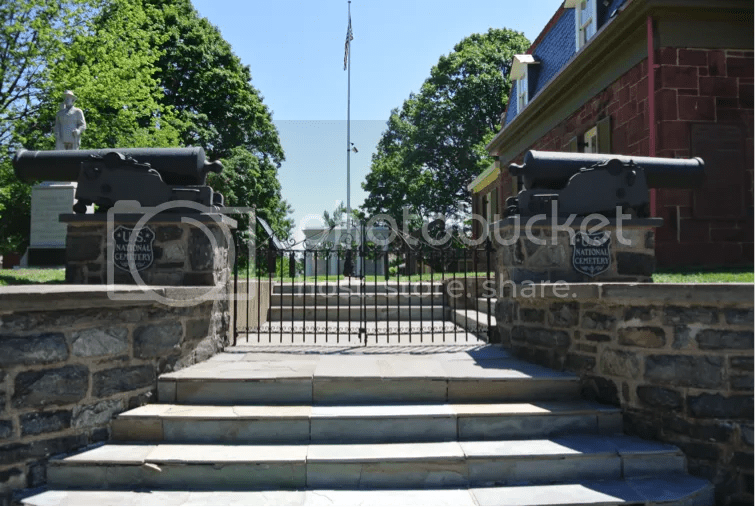 In anticipation of the battle’s 150th anniversary we cleaned biological growth from cemetery’s headstones & monuments, waxed bronze plaques within the cemetery and conducted minor conservation work to the two cannons that flank the entrance. 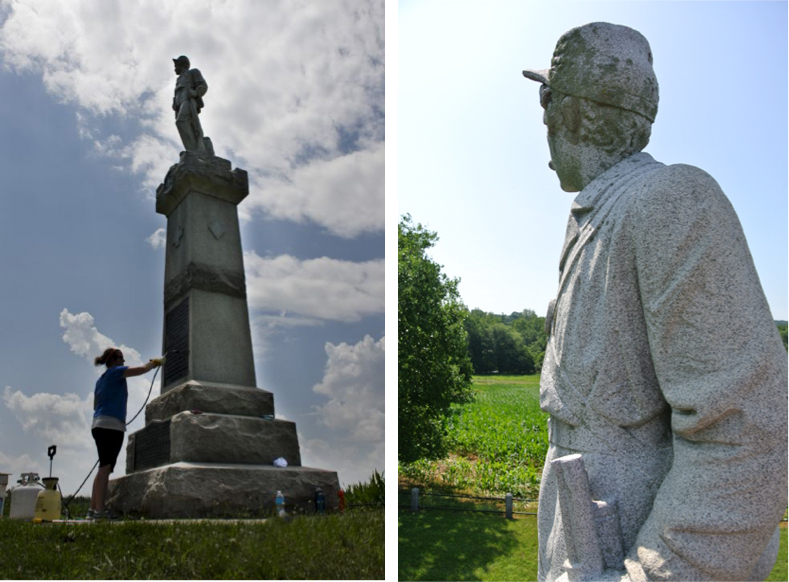 Monocacy National Battlefield – In anticipation of the 150th anniversary of the battle at Monocacy I helped clean and wax monuments found throughout the battlefield. Prince William Forest Park – Another of my duties during the summer was updating the List of Classified Structures, the National Park Service’s database of structures, objects and monuments, for Prince William Forest Park. The park is located in Virginia just south of Washington, D.C. and is made up of five cabin camps developed during the 1930s by the WPA. I surveyed and inspected historic cabins and campgrounds throughout the park and noted their condition, took pictures, and updated the database based on what I found. The database is updated regularly and the inspections occur every four years to help prioritize projects and ensure the National Park Service structures are maintained in good condition. 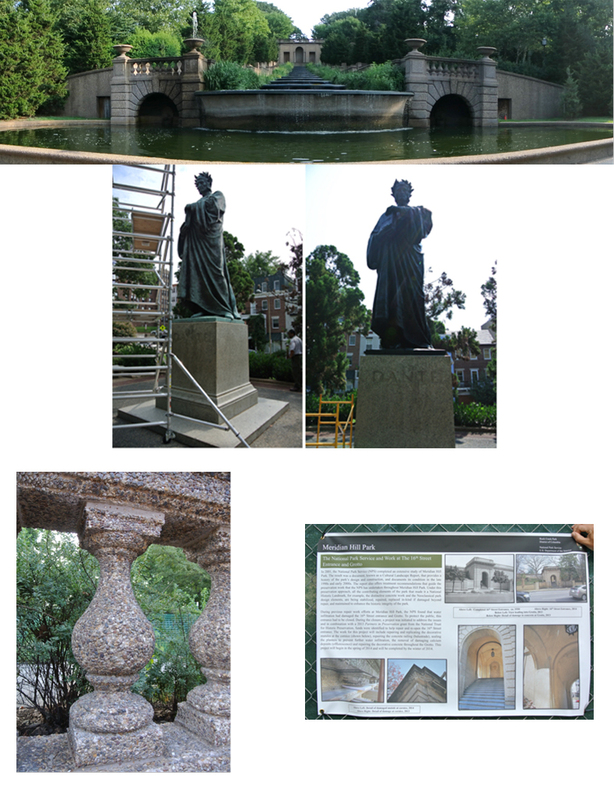 Meridian Hill – While working at Meridian Hill, we toured and reviewed the preservation work occurring in the park’s 16th Street entrance and cleaned and applied wax coatings to a statue of Italian poet Dante Alighieri. Meridian Hill Park was developed between 1914 and 1936 as a grand, formal Italian garden designed by Architect George Burnap and landscape architect Horace Peaslee. The park is unique for its experimental use of concrete aggregate, using small pebbles specifically selected for their size and color at the surface of the concrete. The bronze Dante sculpture sits on a granite pedestal and was created in 1921 by Italian sculptor Ettore Ximenes (another version of this sculpture can be found at Dante Park in New York City). Other sites and parks I worked in this summer include: Glen Echo Park, Clara Barton House, Wolftrap, Arlington (Lee) House, Arlington National Cemetery, Fort Stevens, National Mall & Memorial Parks, Memorial Drive Monuments, Mary McLeod Bethune Council House, the Washington Monument, Ford’s Theater & Harpers Ferry. Commemorative Stone from the City of New York in the Washington Monument. The Monument contains 193 Commemorative stones including one from each state donated to the monument in honor of George Washington.